Check out the latest trailer and poster for Avengers: Infinity War set to arrive in theaters April 27, 2018. The film marks the culmination of all the Marvel Studio films thus far, 10 years and 18 films, as they face their most dangerous threat yet. 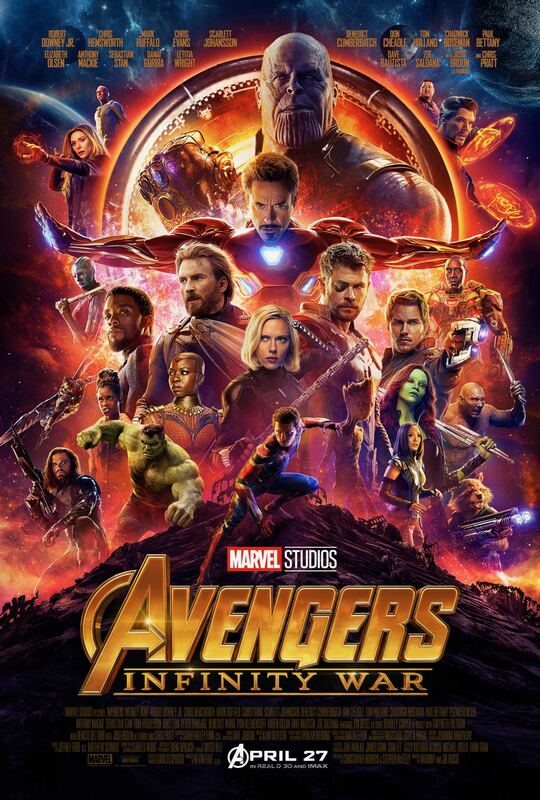 Infinity War is directed by Anthony and Joe Russo and features a massive cast including Robert Downey Jr., Chris Evans, Mark Ruffalo, Scarlett Johansson, Chris Hemsworth, Tom Hiddleston, Anthony Mackie, Paul Bettany, Elizabeth Olson, Jeremy Renner, Chadwick Boseman, Sebastian Stan, Don Cheadle, Chris Pratt, Dave Bautista, Zoe Saldana, Pom Klementieff, Benedict Cumberbatch, Benedict Wong, Sean Gunn, Tom Holland, Paul Rudd, and Josh Brolin.